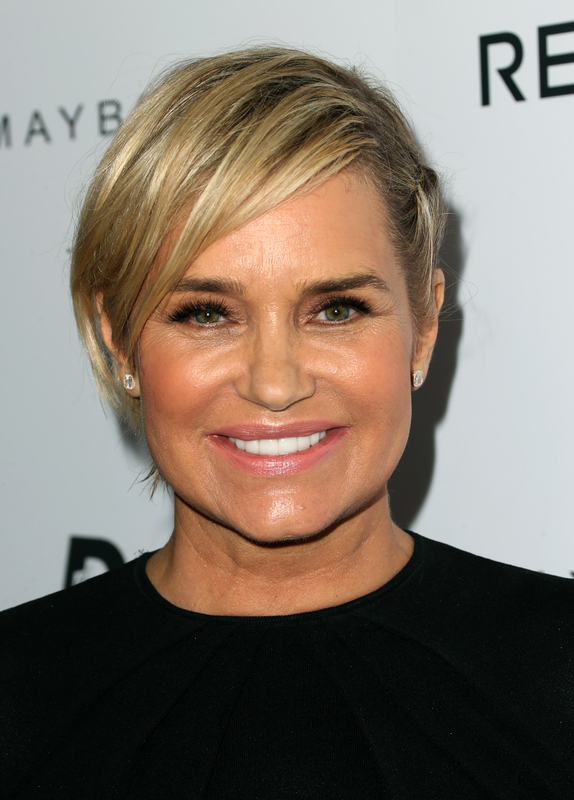 After the last Real Housewives Of Beverly Hills season was so Yolanda-centered, I am completely shocked that Yolanda Hadid will no longer be a part of the RHOBH. I figured that it would make complete sense for her to return so she could (at the very least) leave her story off on a better note. Plus, she is queen Erika Girardi's bestie, so I assumed that would be enough to keep her. But, apparently not, because Yolanda explained on Instagram on Wednesday that she is leaving the show after four seasons. I am sure that all RHOBH fans will remember Yolanda for all of the sage advice that she dispensed and the way she carried herself with grace and dignity amidst the ladies' craziness, but there some other great moments that happened. She had plenty of moments that were not "typical Yolanda," and that is why they made for such great TV. It's just so surprising and refreshing when someone acts outside of their typical demeanor that it's hard not to give these times special attention. Yolanda is usually so composed with an emphasis on keeping it classy, so I just live for it when she gets riled up and throws out some curse words. I just cannot help being entertained by these anti-Yolanda moments. This has to be the best thing Yolanda has ever said. Yolanda doesn't usually talk behind people's backs so this was just too amazing to watch, and I'll never get over it. Yolanda never curses so when she just directly yelled at Taylor Armstrong during the Season 3 reunion after a season of beefing it was glorious. Taylor had no choice but to apologize. I'm not sure how this happened, but I feel like Yolanda's longest nemesis on the show ended up being Lisa Vanderpump's husband, Ken Todd. Normally, Yolanda is not into conflict, but she unleashed some major rage when she used the word "stupid." Yolanda has always been about a healthy life and clean eating, so it was pretty out of character for her to want some fried food. It's nice to see that Yolanda gives into her cravings too. LOL. Does Yolanda really need more money? I'm sure Bella Hadid had more than enough funds to be an equestrian. I can't believe Yolanda actually said this. Yolanda is usually pretty conservatively dressed, so it was pretty crazy to see her sexing it up in that lingerie. She killed it though. Yolanda doesn't kid around much (at least from what we see), so it was just super weird to see her holding those slabs of meat over Kyle Richards. Yolanda never really took well to Taylor, and she was pretty peeved when Taylor made some comments about David Foster back in the day. Seeing her playing around with Kim was nice for a change. Yolanda is always so serious. Sticking her tongue out is so not a Yolanda thing to do. We'll miss you, Yolanda. Please come back as a "Friend of the Housewives" soon!